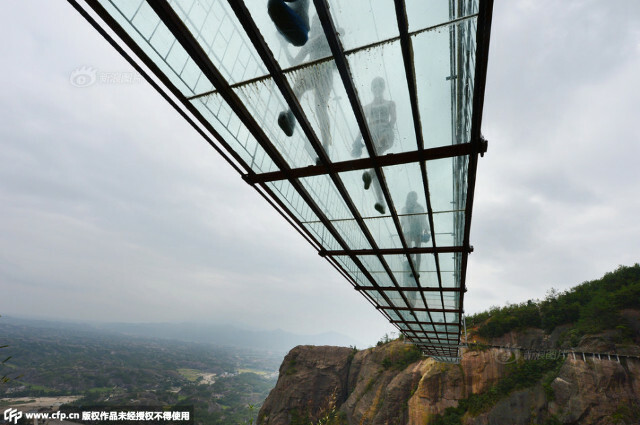 Oh, look, it’s the world’s longest glass-bottomed walkway. 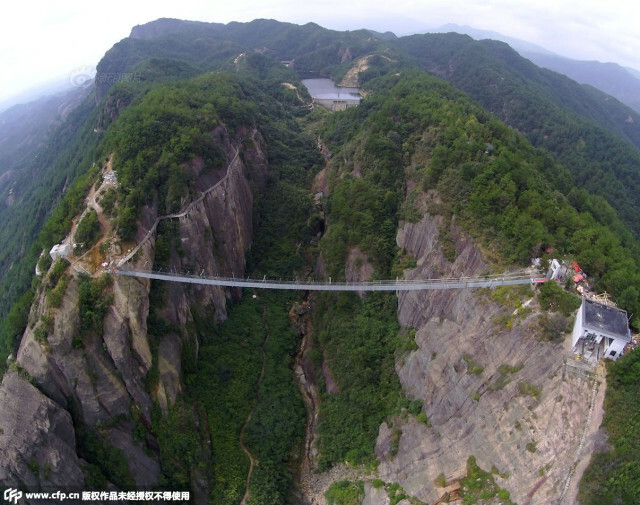 It span 984 feet and is a cool 590 feet above the ground. No biggie. 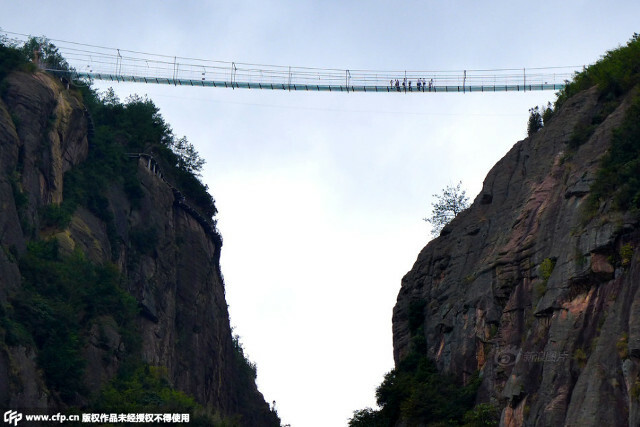 The walkway replaced an old wooden bridge, apparently, and is located in Shiniuzhai Geopark in Hunan. The floor is made of double-layered glass that is less than an inch thick but is supposedly 25 times stronger than regular window glass. I say heroes are every day people who do brave things like save dogs from burning buildings and railroad people out of perilous situations. 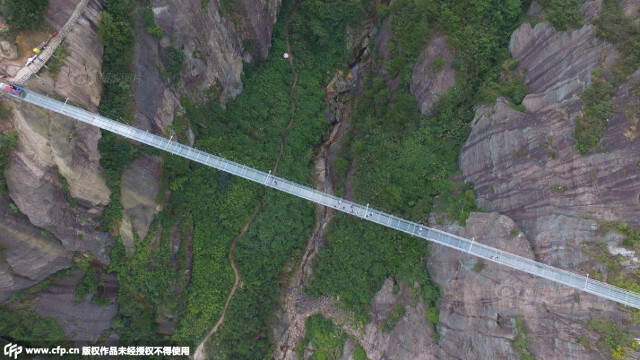 While you might be brave to cross this bridge, there’s nothing heroic about it unless there’s, like, a kitten that needs rescuing on the other side. SO THERE. 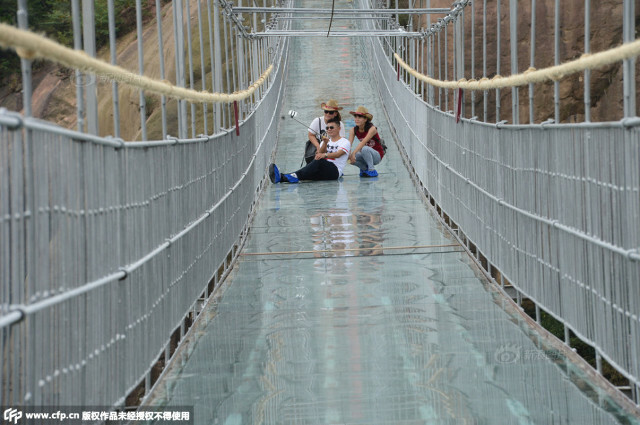 SCREW YOU AND YOUR BRIDGE.